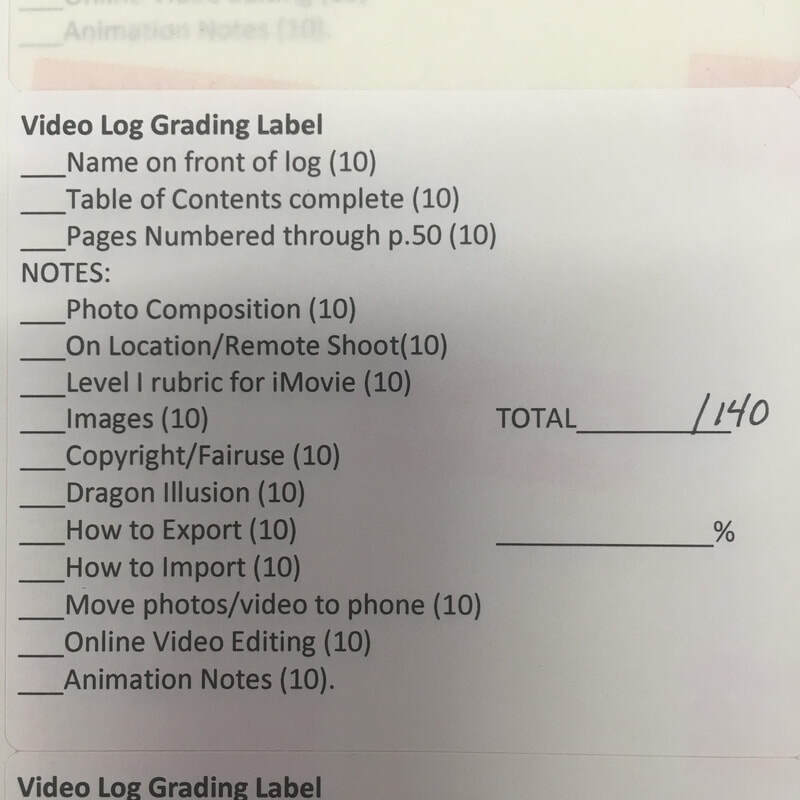 Here is the first grading list for your video log. Always keep your table of contents up to date and add entries as needed. Maintaining your video log will help you as we move to more advanced projects, using more advanced techniques so you can refer back to the log for help. 1. 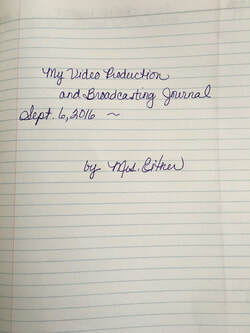 On the very first page, write "My Video Production Film Log"
Start numbering the pages on the next page on the right hand side of the paper - beginning with 1. 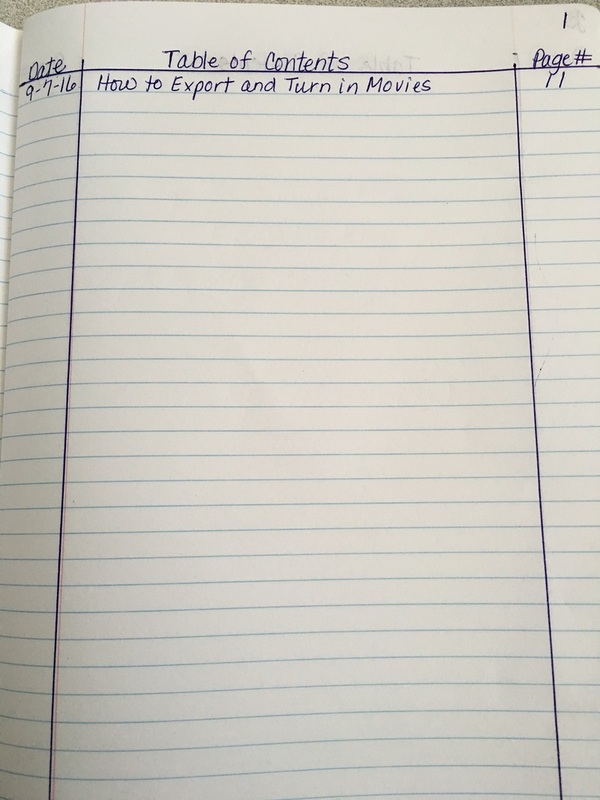 Use your ruler to create the Table of Contents. See illustration. ​Title each section: Date, Table of Contents and Page #. Do these table of contents pages through Page 9.